Lyle Moldawer’s research program focuses on the body’s response to injury, sepsis, and inflammation. 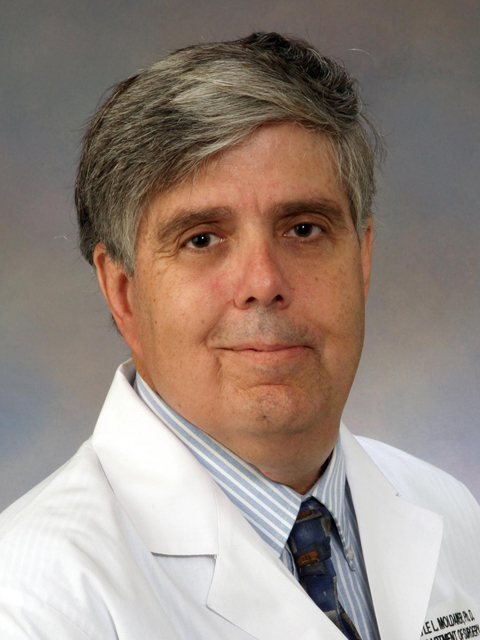 He has also played a central role in the development of a clinical trauma and sepsis research program at UF Health. Moldawer studies interactions between the innate and adaptive immune systems, and myelopoiesis, respectively. He’s working to validate a rapid-turnaround genomic test to predict long-term outcomes in severe trauma. His work involves neonatal sepsis and the systemic and local inflammatory response to AV fistula remodeling in patients with chronic renal disease. As Vice Chairman for Research in the Department of Surgery, Moldawer serves on the department’s executive committee and sets the agenda for research. Moldawer has worked diligently to develop a department of surgery research wing, bringing senior and junior research faculty within medicine and other faculty who share common interests into close proximity. Although still a work in progress, the research wing will become an incubator for surgery faculty to build and develop programs both within and outside the department, which will hopefully lead to increased NIH funding. Moldawer has also led an effort with the Clinical and Translational Science Institute (CTSI-IT) to successfully create a REDCap case report form, used for trauma and sepsis patients that can successfully interface with the EPIC electronic health record. This is a first at UF Health.